Worker privacy is a serious issue which can complicate data security measures. 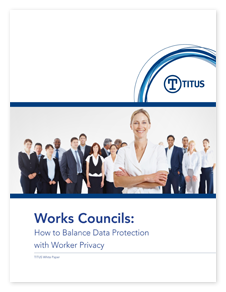 However, TITUS Classification makes it easy to find the right balance between the workers’ right to private communication and the need to protect sensitive data. The simple act of choosing a classification can provide workers the option to reject content scanning for their personal correspondence.